"Our lives are like quilts - bits and pieces, joy and sorrow, stitched with love"
So I decided to make this friendship braid mini quilt . Cos just like the braid of different color, IMQG members come from different background and even countries. But then we have the same passion: Quilting. We share, learn and encourage each other. Just like Scott Adams said : "Creativity is allowing your self to make mistakes. Art is knowing which ones to keep"
"Ask not what your fabric can do for you, but what you can do for your fabric"
I love the pinwheel in the middle. It's sort of hide n seek pinwheel. I've done the mini quilt with this design before. 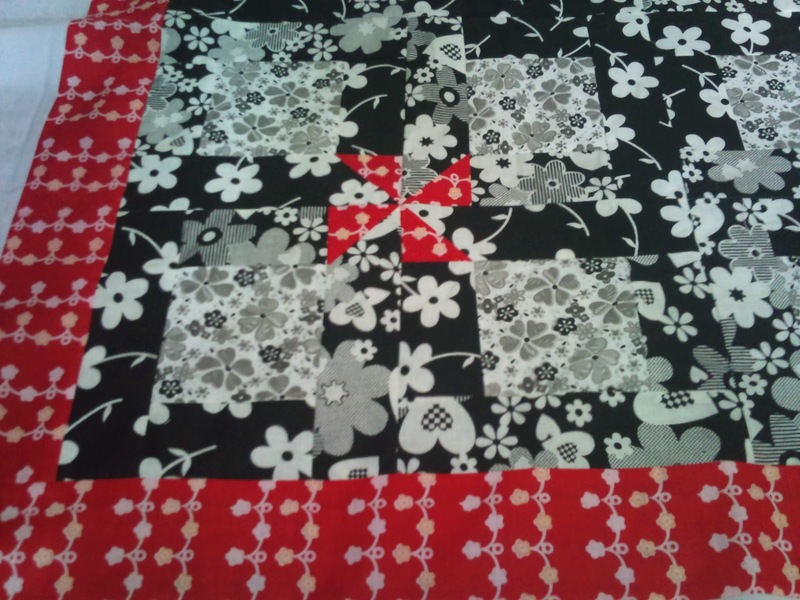 If you notice the border, I didn't do the usual, instead to stitch the white n red one first and than attach it to the quilt top. 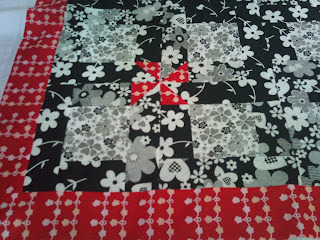 And I think I will use scrappy binding from the black and grey fabric. What do you think? What's more satisfying than receiving handmade stuff made by your friends around the world? I'm the happiest person when I receive a handmade gift, whether its a birthday present or a swap. And recently I received two of them. Agnes from Smurfing Time has given these beautiful handmade stuffs on my birthday. Well, she really didn't tell me what she's been up to, regarding we chat or talk over the phone almost everyday. It came as a happy surprise to me..:). The tote bag came with a lil coin pouch which is too cute!!. 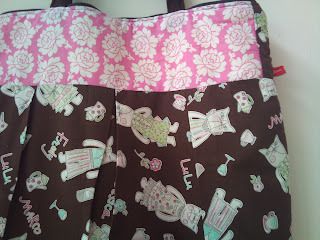 I love the way she did the patchwork and hand quilting the bag. 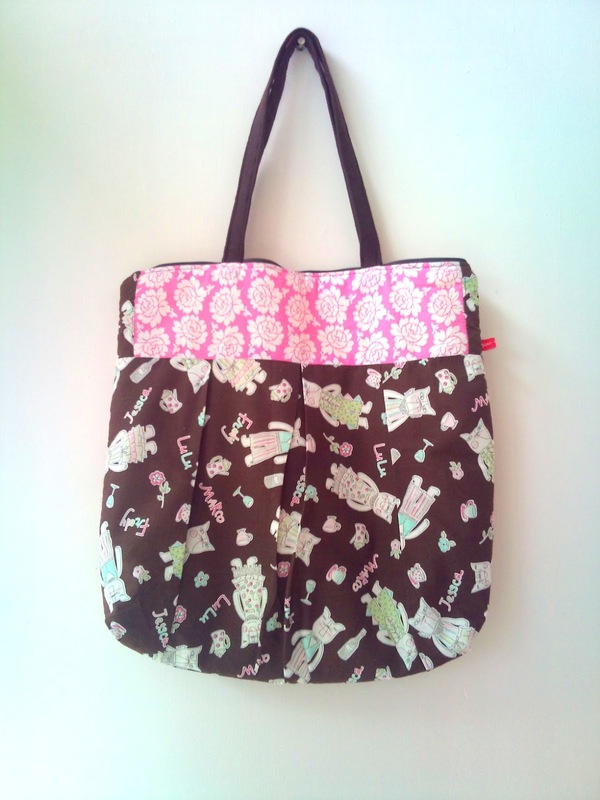 don't you just love the ms. foxy fabric?? Now I have 2 favourite totes to carry around and no more paying plastic carry bag when I visited the mall. The IMQG Facebook page is buzzing with activities with more and more member everyday. Currently I join the BOM for Vanni, an NGO run by Brinda, a member of IMQG. 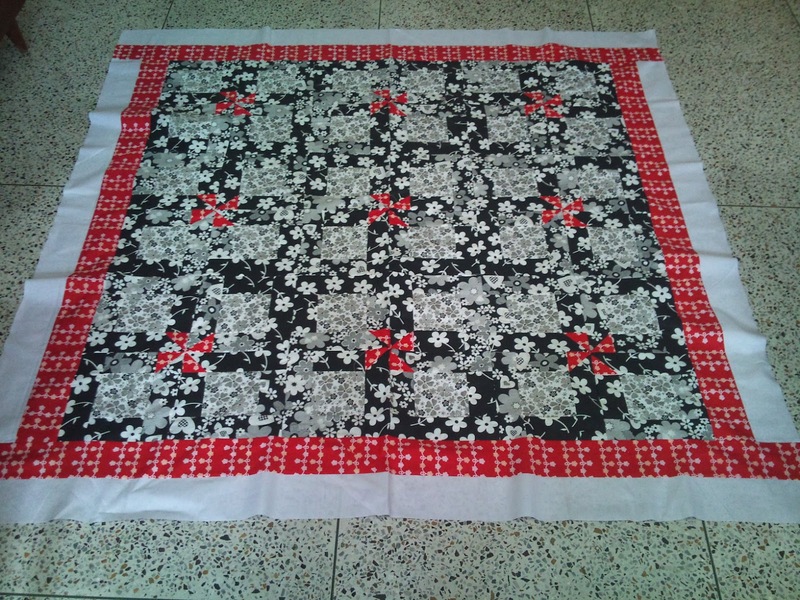 We all will be making quilt and donate it to Vaani. Last month's BOM was simple pinwheel. 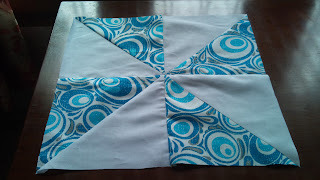 And I made this simple 12" pinwheel block. I love how the second one turn out. 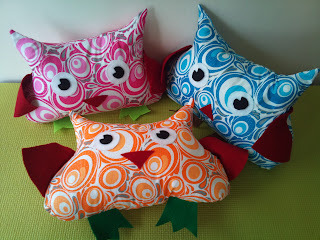 I'm using one tutorial which you waste to fabric in making the flying geese. 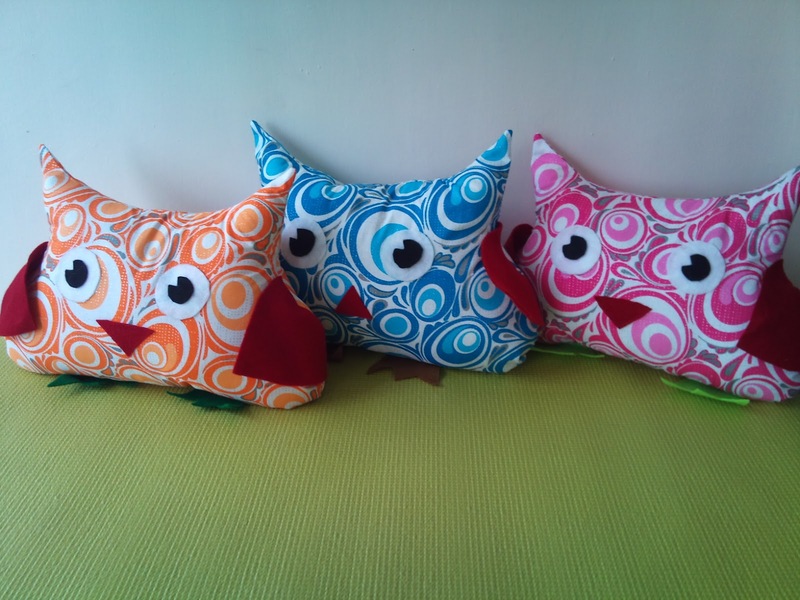 Last month, I made this owl pillows which delight my sons and both of them are fighting of which one goes to which cars. Yeah even though they are boys but they like cute stuff too and I'll gladly take the blame for that 0_0. They get used to see their mama making things. The fabric is perfect for these owllies. It's bright and has a silvery dots all over. As for the beak, flap and feet I used a heavy flannel which I bought from Indonesia when I went home last time. March had been a busy months. I was busy with few custom orders, try to get my shop back to track again, preparing for my April's exhibition with a friend, the kids are having final exam, etsc, hence not much time to update the blog. 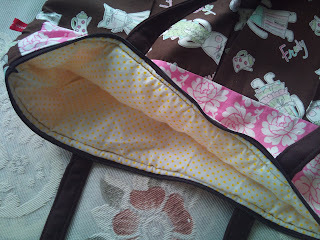 However, all my sewing activities are (almost) regularly in my Facebook Page. I made 2 of these table top. One I sent as a gift to my DH cousin. This drawstring bag I made based on tutorial my Ayumi of Pink Penguin. I made this as a gift for my son's teacher. 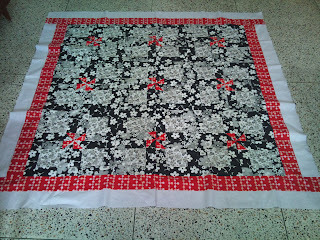 This one also I made this table runner as a gift for my younger son's teacher. I used a matte golden fabric as border and love how it lit up the whole thing. There are few more things I've made during the month of March but I don't want to bore you with long post, instead please go and take a look at my Google + Album .